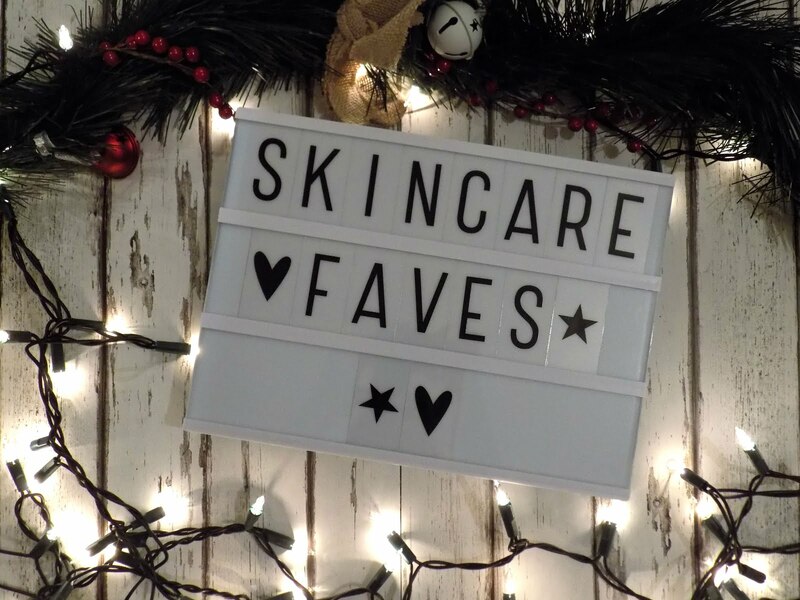 I have been on a massive skincare kick this month as I have been trying out lot's of drugstore skincare so be prepared for some rave reviews and a lengthy December Faves. Alright so starting with the cleanser I have been loving, the No7 Melting Gel Cleanser. I wanted to find a drugstore alternative to the Oskia Renaissance Cleansing Gel as that one is pretty expensive, and I have been loving the No7 Cleanser so much that I haven't used the Oskia one all month. This melting gel cleanser is gentle, hydrating and leaves my skin feeling super clean and soft. I like to use a Konjac Sponge with this as it is still gently exfoliating my skin but without any abrasive scrubby bits. I have also been loving the B. Revealed Glycolic Cleansing Peel which is a cream cleansing treatment which has Glycolic Acid to gently exfoliate the skin, again without any scrubbies in. This takes 3 minutes to work and then simply rinse off and my skin feels so soft and smooth and not dry or tight at all which is what I was scared of considering it says Peel in the title. Will be trying out more of the B. Skincare range if this is how it performs. 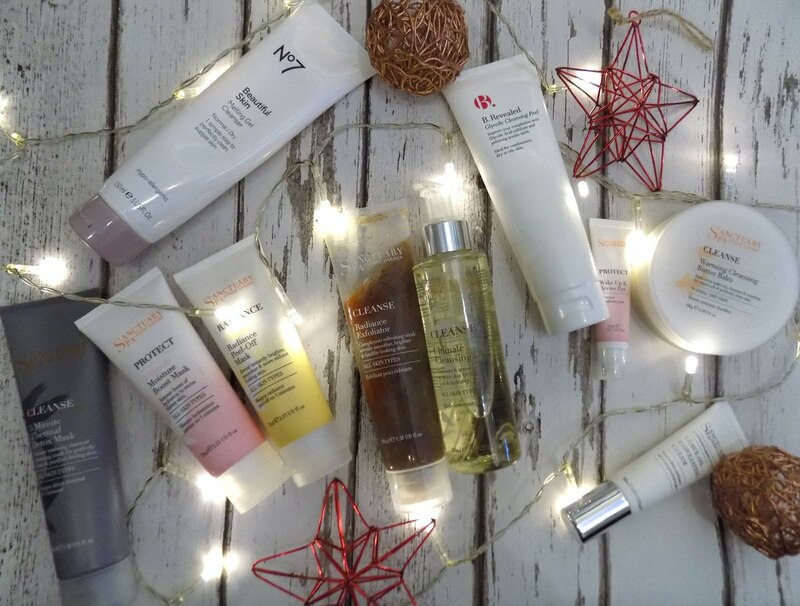 Now for the huge array of skincare products I have tried from the Sanctuary Spa skincare range which is available in Boots. 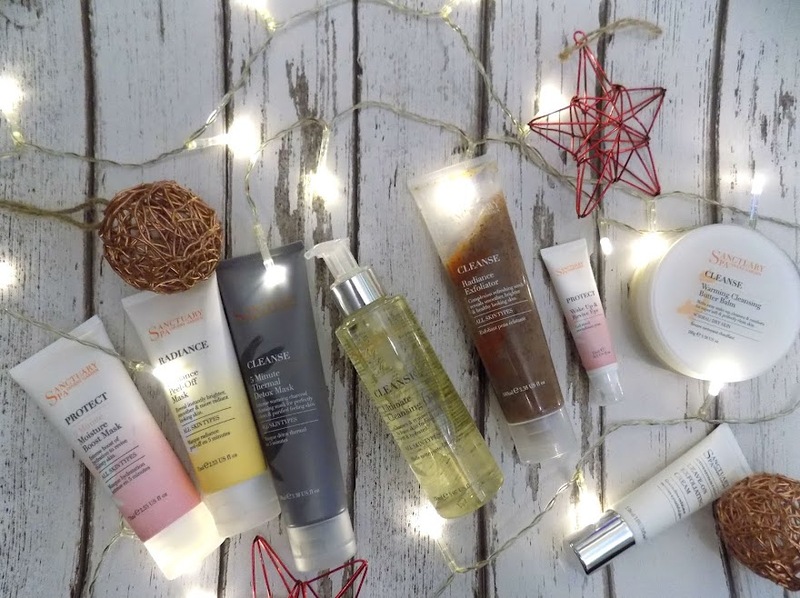 This entire range has made my skin feel so soft and amazing I am so excited to do a review so I can rave about it even more to you (unless you get bored of me talking about it). So first is the Ultimate Cleansing Oil, and the Warming Cleansing Butter Balm which both remove makeup very well, cleanse the skin and keep my skin feeling soft and super hydrated. I love both of these and I will switch depending on how much makeup I have on or whichever one I want to use that day. I only use these products at night, I don't tend to wash my face in the morning unless I feel like I need to and I have found that works with my skin. Alright next is the Radiance Exfoliator. This is the only other manual scrub that I have used on my skin and I love it. I like to use this with the Konjac Sponge as well as it's a gentle scrub but does the work on it's own as well as with the sponge. Next is the masks and treatments and I have been loving every single one that I can't choose which is my favourites. I started off with the 5 Minute Thermal Detox Mask and the 5 Minute Radiance Peel Off Mask, both of which I fell in love with instantly. The Detox Mask is a clay formula and you apply it to your skin, it warms up when in contact with your skin, and then leave for 5 minutes and rinse off. It doesn't dry as such but it does deep clean your skin which I love. It got rid of a few breakouts I had within two uses and it leaves my skin feeling soft and hydrated after I have removed it. As for the Radiance Mask, this you leave on for 5 minutes and once dry, you peel it off. I hadn't tried a proper peel off mask before but this is incredible and I love how glowy and healthy it leaves my skin. Again, no uncomfortable dry feeling once it's removed. Next is the Beauty Sleep Mask and the 5 Minute Moisture Boost Mask. The Moisture Boost is self explanatory, although you can leave it on for 5-10 minutes or however long you like, or overnight, by morning it makes my skin feel so amazing and soft and plump it's like my skin has drank a swimming pool of water and is super hydrated. The Beauty Sleep Mask is basically an overnight recovery treatment to rid you from the stresses of the day, it also leaves your skin with a healthy glow which is a common thing with all of these Sanctuary products. I've been trying out the Leave On Exfoliating Cream for the last two weeks of the month along with the Wake Up Wonder Eye Cream and I have been really liking how they make my skin feel. The Exfoliating Cream has Glycolic Acid and other chemical exfoliants to slough away any skin and although it says to use through the day, I apply at night as a substitute for my empty Alpha H Liquid Gold and it's very gently, barely feels like it's doing anything but then when you look at your skin the next day, it feels so smooth. As for the Eye Cream, it's not as great as the Soap & Glory Make Yourself Youthful Eye Cream it still does a great job of brightening and soothing the area. It's a thicker consistency, more like a smoothing balm, but it feels great and I've been loving it this month. In case you couldn't tell I am in love with this range so far. 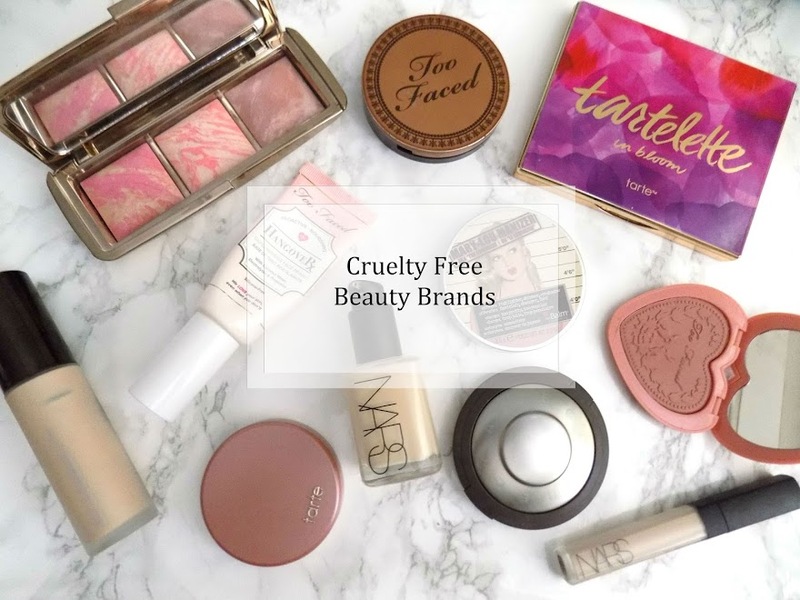 I am working on a review of all of these products and any others that I try from the range and if they are cheaper alternatives to some of my higher end skincare which I am collating for a post so watch this space. There's quite a lot of makeup products this month too so my beauty stash is getting some much needed love and attention which can be quite difficult when you have a makeup/beauty collection which is fairly sizable. Starting off with priming, I have discovered the Benefit Puff Off which is basically an under eye perfecting kind of deal. It brightens, de puffs, soothes, hydrates and just makes me look more awake. I did a Face Off between this and a similar product that I have used for well over a year now so you can read that post here. The Freedom Priming Water has been a new discovery this month (well most things have) and I was pleasantly surprised by how this performed. It hydrates my skin, leaves a really healthy glow and my makeup looks incredible when applied over the top of this. I don't know if it's a dupe for the Smashbox Priming Water as I haven't used that but if I can get my hands on it then I will. 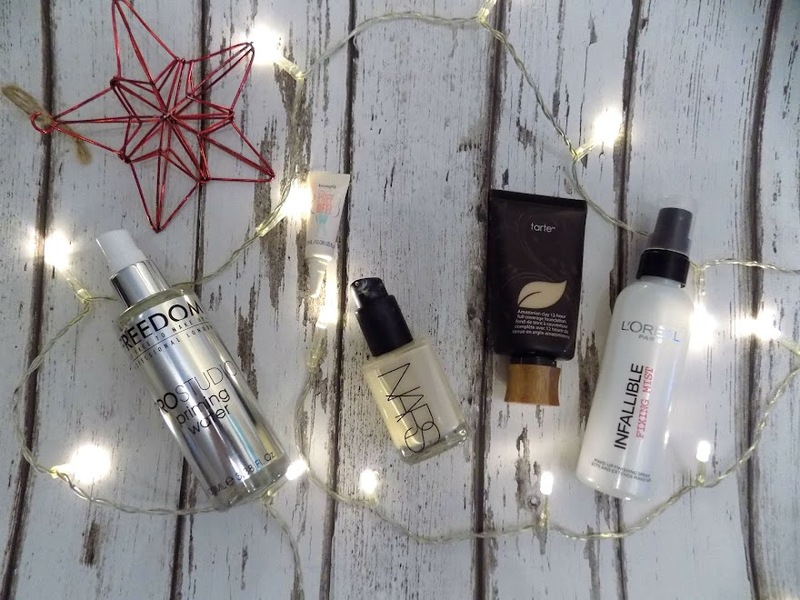 But Freedom also have a Fixing Spray, an Oil Control Base, a Glow Tonic (similar to the Pixi Glow Tonic I assume), they also have a Strobe Cream which sounds really cool and will definitely be picking that up to try out too. 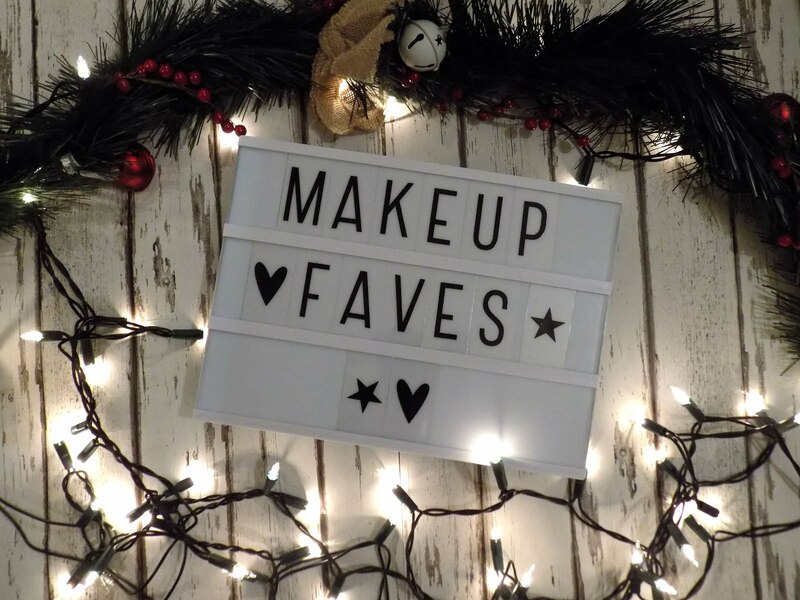 If you have tried out any of their stuff, then let me know what your faves are so I can try it too. My foundation combo of the month is the Tarte Amazonian Clay Full Coverage Foundation with the NARS Sheer Glow. Two very different formulas yes, but, it gives a beautiful glow whilst still having a pretty full flawless coverage. I love how this looks and wears on my skin and I have been using one or the other, or both all month. To set all of my makeup in place I have been loving the L'Oreal Infalliable Setting Spray, which adds a nice natural glow to the skin and settles any powder into your skin to look very natural and flawless. Love this stuff and I am so happy they have it in the UK now. 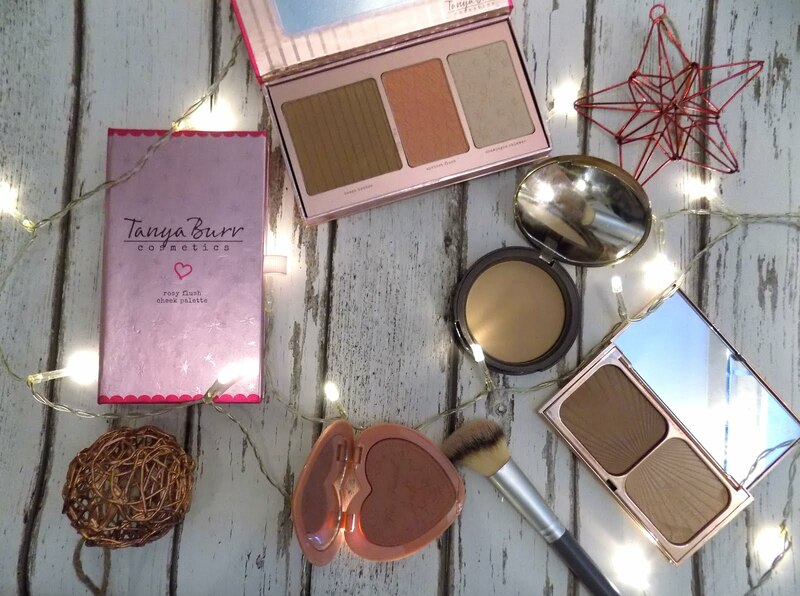 I have also been obsessed with the Tanya Burr Rosy Flush & Peachy Glow Palettes which both have a bronzer, blush and highlight. The shades in these are stunning, the actual products are super pigmented, easy to work with and look amazing on the skin. I love both of these and highly recommend them. 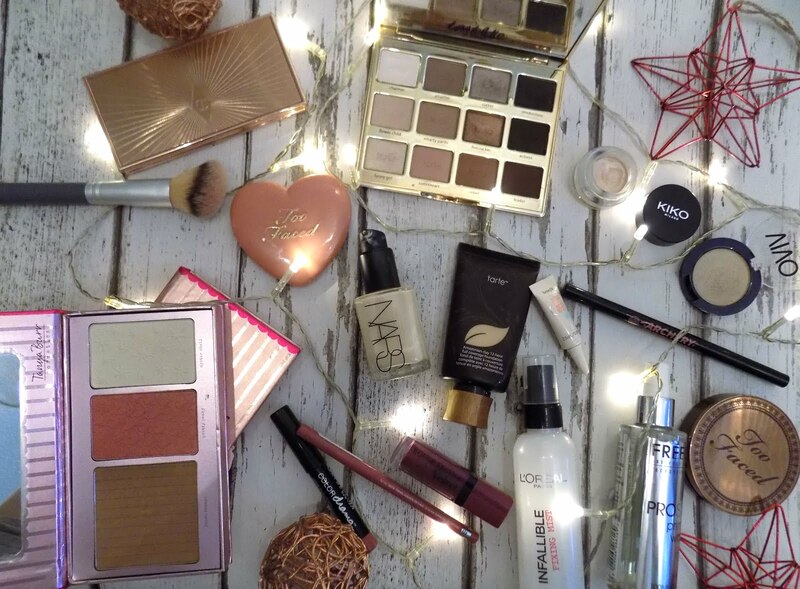 I have been using the B. Angled Brush to apply these products and this has also become a favourite. Whenever I have stayed at my boyfriends, or done my daily makeup at home, I use this brush no matter what. Will be looking out for more of their brushes, they're part of the Superdrug range B. and they have skincare (which I have already delved in to with their Glycolic Cleansing Peel above), makeup and makeup brushes so they're all affordable and great quality. For bronzer I have been obsessed with the Too Faced Milk Chocolate Soleil Bronzer as it just gives my skin such a beautiful warmth without being OTT or looking orange or anything. It's the perfect shade and I am absolutely obsessed with it. Also from Too Faced I've been wearing the Love Flush Blush in Baby Love a lot. Before I had this blush I never wore this shade but now I am obsessed with it and this particular blush is incredible. Finally for contouring, when I'm not using the bronzers above for some light definition, then I use the Charlotte Tilbury Filmstar Bronze & Glow. This will be appearing in my 2015 faves as I love this stuff and don't know how I lived without it. 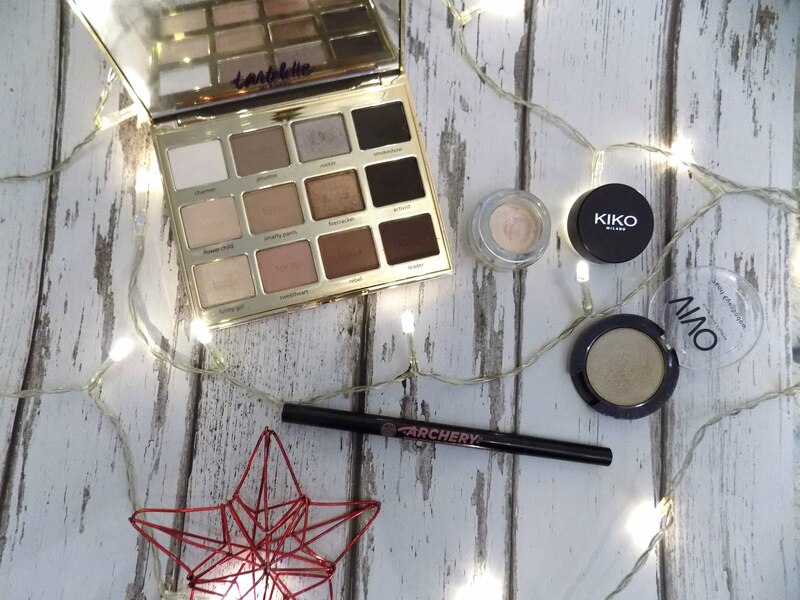 Alright, as for eye products, I have been wearing a similar eye look all month but I first start with the Kiko Cream Shadow in 01 on the lid which just gives a really pretty shimmery champagne base, I then go over that with Vivo Eyeshadow in Pale Gold which isn't too intense or too gold, but gives a hint of gold and I really like how that looks on me. I then go in with Leader from the Tarte Tartelette In Bloom Palette *, the entire palette is a firm favourite from the month. This has been such an incredible palette for an everyday eye as well as a smokey look for a Christmas Party or something. I love the shades, I love that there are shimmery shades as well as matte and I love how long they last without creasing or fading. For my brows I have gone back to an old favourite, the Soap & Glory Archery Brow product but I got the one with the Marker on one end and then pencil on the other and it's the marker that I have been using and loving. I love how this makes my brows look, natural, not too filled in but just enough to make it look like I've made an effort. If I apply something on my brows for a natural no makeup look then I use this as it doesn't make me look like Helga from Hey Arnold, anyone remember that show? 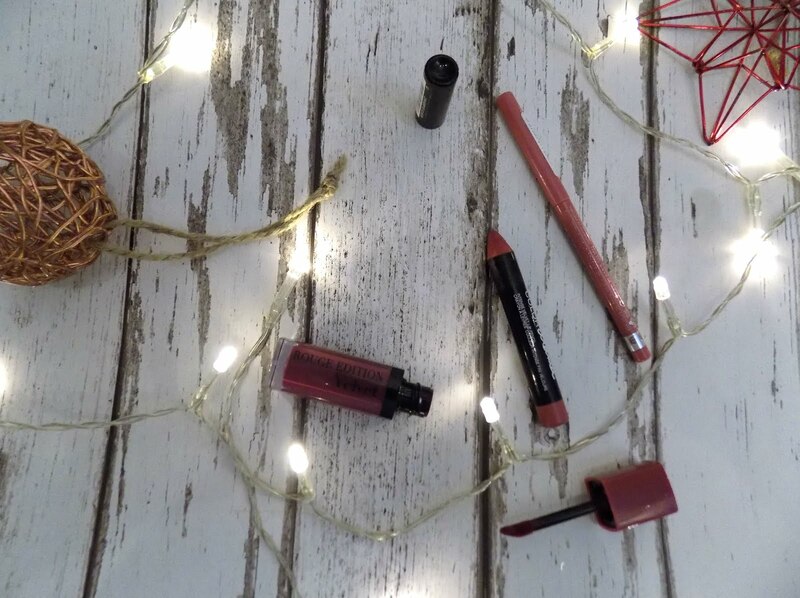 Alright now for lips and I mentioned these in last months faves so I won't ramble on but I am still loving them, the Rimmel Lip Liner in East End Snob with either Bourjois Rouge Edition Velvet in Plum Plum Girl or Maybelline Color Drama in Keep It Classy over the top. 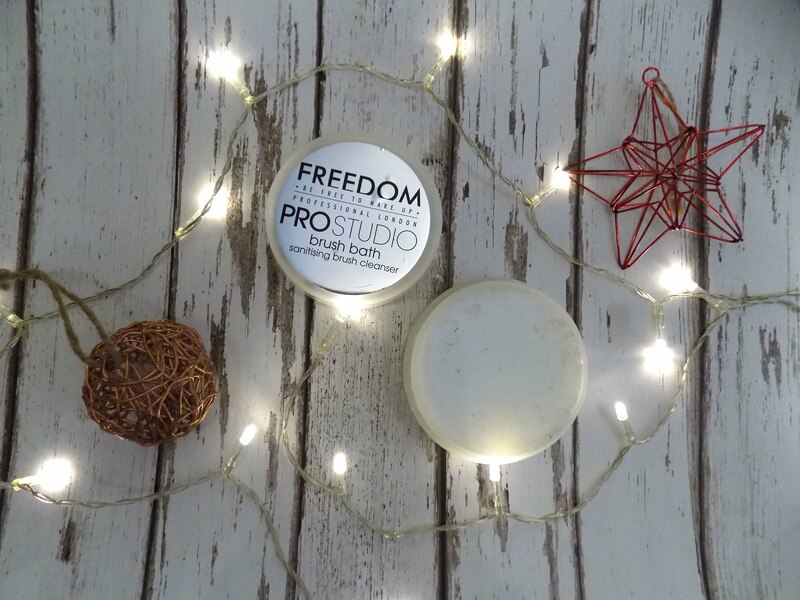 I discovered the Freedom Brush Cleanser this month and this has made washing my brushes and beauty blender such little hassle that I actually do them more because this product is so good. 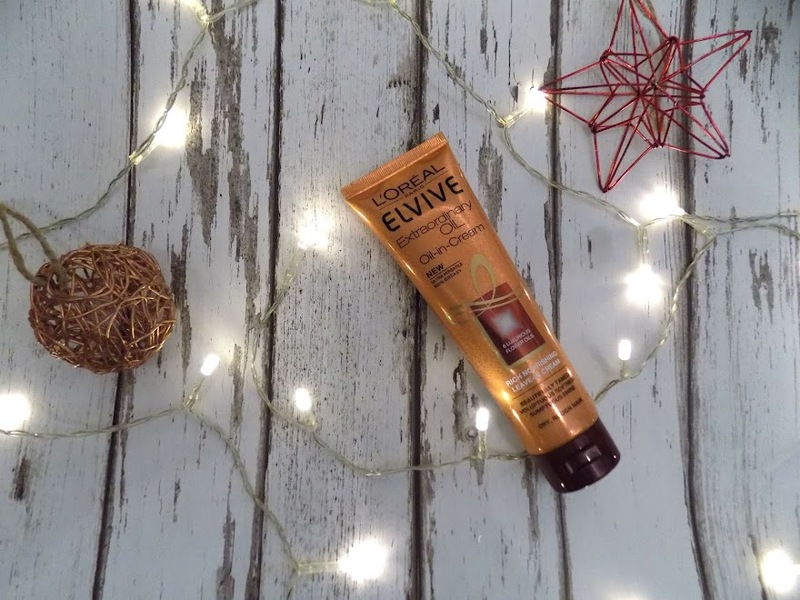 As for the hair product I have used non stop, the L'Oreal Elivive Extraordinary Oil-in-Cream which is basically a cream with lot's of nourishing oils in and whether used in wet or dry hair and it gives a really nice shine as well as making your hair feel super soft and hydrated. It's a great product. If you made it to the end, then 10 IABT points for you because that was a long one. I hope you all had an incredible month, Christmas, and that your New Years celebrations are awesome too, be safe. Thanks for reading. What's your favourite things from the month?